Did you know that what you eat affects how healthy or sick you look? Just think about it for a second or two. 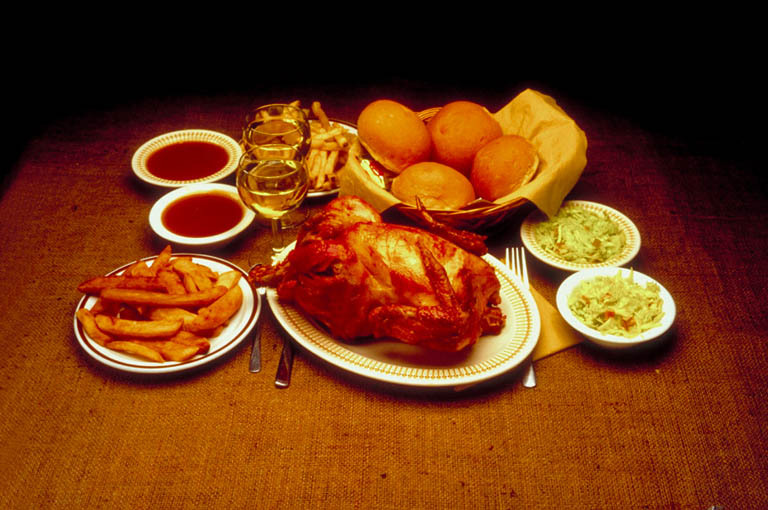 If you eat a lot of fatty and greasy foods, you will get fat and your face may get bumpy and your skin feel oily. If your diet consists mainly of sweets, that can also happen to you in addition to your being hyper-active and full of too much energy (can cause loss of sleep). If you rarely eat, you may be slim and look drawn in your face. If you eat foods that are not good for the body in large amounts but only in small quantities, your face will look droopy, your eyes look tired, and you may walk with very little life. Salty foods can cause headaches which make you cringe up your forehead and tighten your jaws, resulting in lines across your face and jaws. So you are what you eat. That is why it is very important that your diet be balanced and in accord to what your body can manage. Persons with high blood pressure (hypertension) problems should eat as little salt as possible, if any at all depending on the severity of the condition. Diabetic individuals should consume very little sweet foods, again if any at all depending on the severity of the condition. Eat lots of fruits and vegetables. Make sure your diet has in carbohydrates and fibre. Vitamins and minerals are essential, so buy multi-vitamin supplements to complement what you eat. Drink lots of water to flush your system and make your face look cool and give your body a nice feeling. Regular exercise is also important. Always consult your doctor before embarking on an exercise routine as he will be able to tell you if you are able to manage it. And always try to eat right and on time.